As their names suggest, honey-pot ants are like living pots of honey. They come from the edges of deserts. After the rains, there is so much nectar from plants, that there is actually more than enough food. Good food is never wasted in the desert. So the ants gather nectar and then feed other ants in the colony with it until their abdomen swells up with honey! 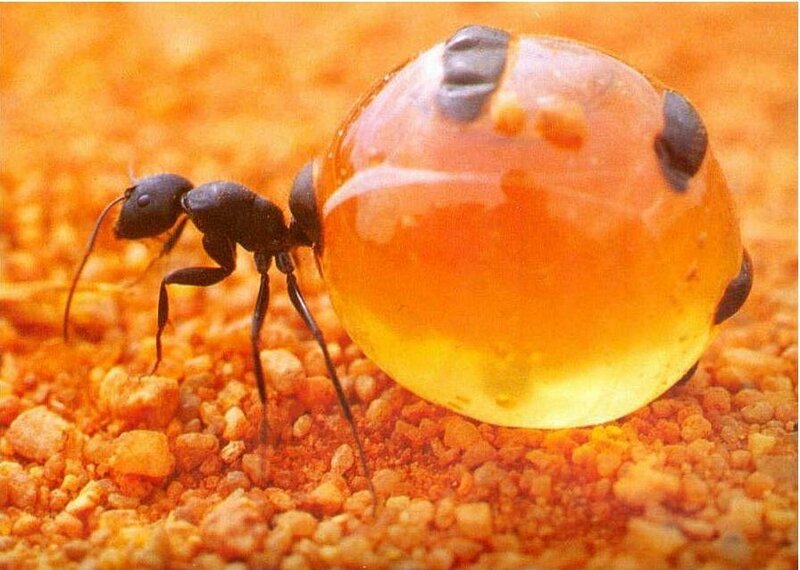 The honey-pot ants save food this way. The abdomens can become the size of grapes! Then when the drought comes back, the honey-pot ants will feed on the honey that the other ants have stored it in their abdomens. Their abdomens eventually shrink to normal size.